Brazil’s sugar mills can make the switch into ethanol easier than ever before, making it harder to predict how much sweetener will come from the world’s biggest producer and exporter. Take the case of Sao Paulo-based Usina Batatais. Just two years ago, no matter how low sugar prices got, the company had no choice but send at least 45 per cent of crops into producing the sweetener. Now, after investing in expansion, that number has dropped to about 36 per cent for the 2019-2020 season, Luiz Gustavo Junqueira, the group’s commercial director, said in an interview. The question of the sugar “mix” -- that is, how much cane is diverted to biofuel versus sweetener -- was among the hottest topics of discussion at a major industry conference in Ribeirao Preto, Sao Paulo state on March 13. With investment in ethanol equipment and storage by millers, there are less limitations on production and they’ll simply go with what’s profitable. “Sugar and ethanol must fight harder this year in Brazil,” said Franciele Rivero, a Sao Paulo-based analyst at Sopex Group. At stake for investors is a market that’s turned hugely bearish. In the week ended March 12, hedge funds held a net-short position of 115,049 futures and options, U.S. Commodity Futures Trading Commission data showed Friday The figure, which measures the difference between bets on a price increase and wagers on a decline, was the most negative since September. Short only holdings jumped 25 per cent. The bets mean money managers could end up flat-footed if Brazil’s millers decide to produce more ethanol, potentially widening a deficit that some analysts are already predicting for the sugar market. There are signs that’s starting to happen. 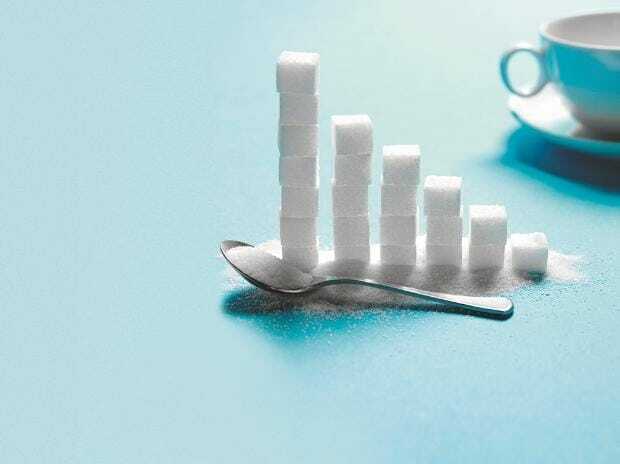 The funds boosted their bearish wagers just before sugar futures posted a 2.8 per cent rally in the week ended Friday. At Sao Paulo’s Usina Batatais, the company on March 1 started crushing cane from the current harvest, Junqueira said. So far, almost all the crop is being made into ethanol. In Brazil’s Center-South, the key cane region, biofuel is fetching the equivalent of about 14.5 cents a pound. Global sugar futures, meanwhile, settled Friday at 12.52 cents in New York. Last season, Center-South millers made an unprecedented 26 per cent cut for sugar production from the prior year as they opted for more ethanol. That drained global sweetener output by almost 10 million metric tons, helping to offset a rise in supplies from India. The industry is ready for even more switching this year, said Eduardo Sia, a trader at France’s Sucres et Denrees, or Sucden. For now, the company sees basically steady Center-South sugar output in the upcoming season since biofuel prices aren’t yet attractive enough for processors to make significant changes. But Sucden is also predicting a wider global sugar deficit, so any variations in the mix could further tighten supplies. At Minas Gerais-based miller Delta Sucroenergia, minor investments in equipment mean the company gained the flexibility to cut by more than 10 percentage points how much of the crop has to go into sugar production, said Virginia Soriano Lyra Leao, a vice president. All they have to do is turn a key, and biofuel starts flowing. “Now we can overcome the limits and produce more ethanol to take advantage of prices,” she said.